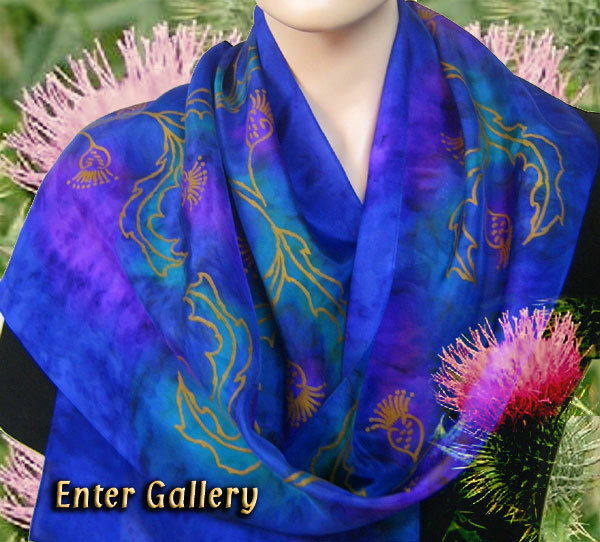 Celtic Wild Highland Thistle designs on Pure Silk Shawls and Scarves. Wild Highland Thistle of Scotland. The Scottish thistle is known as the national flower of Scotland. in the rich colour palette of the Scottish highlands.